Heat a skillet on medium high with a bit of olive oil/pam/butter in it. Add the chicken and cook until it is done. 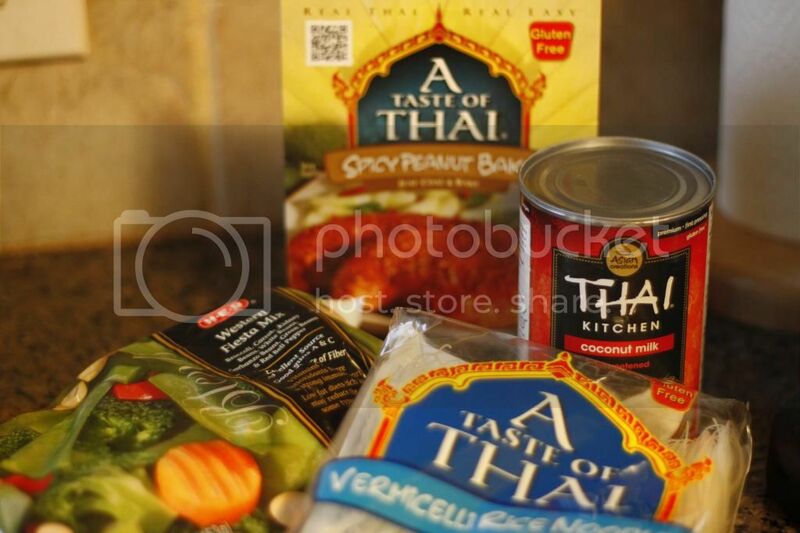 Add one of the spicy peanut bake seasoning packages (there are two of these seasoning packages per box) along with the can of milk and bring to a simmer. 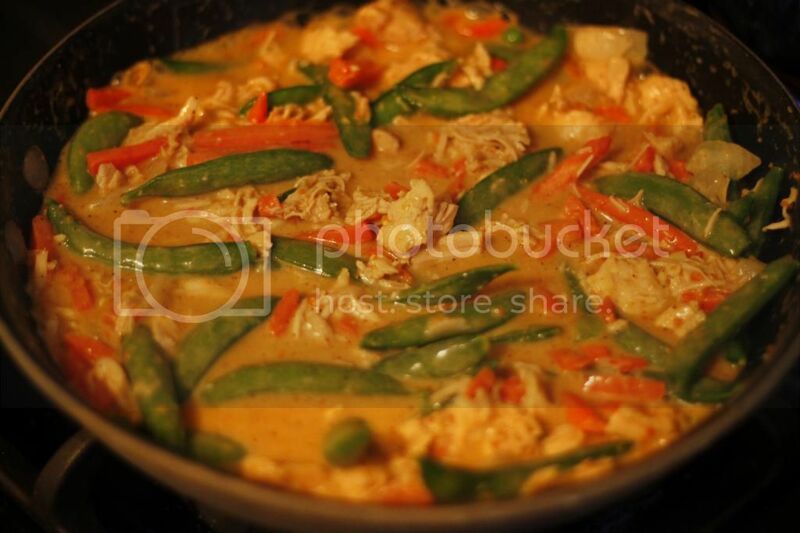 Add the frozen veggies and continue cooking at a simmer to thicken the sauce. Meanwhile, cook he noodles following the instructions on the package. 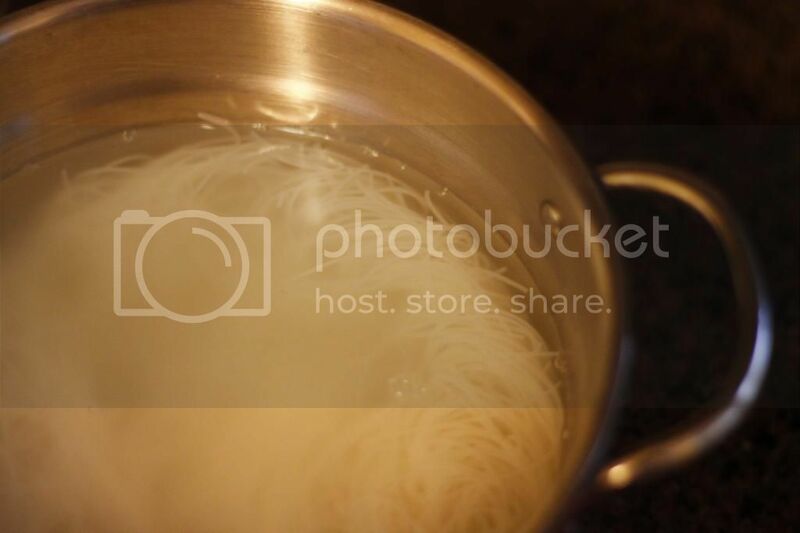 When the noodles are done, strain them and spoon a heaping serving of noodles into a bowl, top with the chicken mixture, and serve hot. 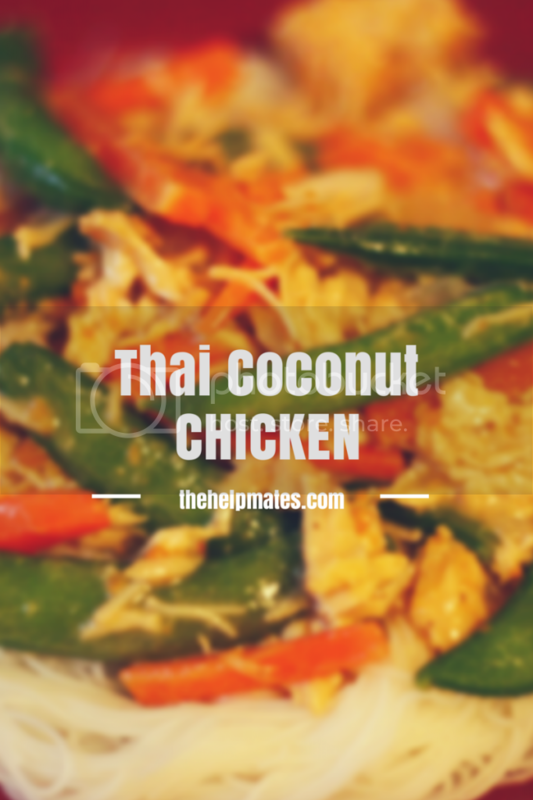 We love this one-dish meal at our house because it is so fast and easy to cook (you can even sub in some canned or pre-cooked chicken to make it quicker), it’s delicious, it is easy to keep the ingredients on hand, and it is husband and toddler approved!